According to police.uk, having no security measures in place in your home makes you five times more likely to be burgled compared to those with simple burglar deterrents. What type of home alarm do I need? The first thing you need to think about is whether you want the alarm to cause a reaction or simply scare away unwanted guests. Bells only alarms will just make a noise, which will scare off intruders and hopefully alert someone in your neighbourhood to the situation. But this may not be the best option unless you have a Neighbourhood Watch scheme or friends nearby who would react to the alarm. Police monitoring – the company above will also contact the police. You’ll need to check the company is registered with your local police force first. The police will only come to your home if two indicators in your house have been triggered, for example a sensor and a door contact. You also need to decide if you want a wired or a wireless alarm system. Wireless – these alarms tend to be easier to install and have the advantage of being able to be removed easier, which comes in handy if you move house. Although they’re normally cheaper to install, the alarm tends to be more expensive. How much will the alarm cost? Prices depend on the type of alarm you’re looking for. You can buy a basic DIY house alarm with easy installation for less than £100, but this will have limited features. An all singing and dancing hi-tech alarm could cost at least £1,000. There are several big providers of alarms, such as Yale, ADT and Chubb. However there are also many independent companies you can buy alarms from. Speak to friends and neighbours for recommendations and to find out how their experience with the company was. The police only accept the installation of remote signalling alarms from alarm companies who are inspected by the National Security Inspectorate (NSI) or the Security Systems and Alarm Inspection Board (SSAIB). Will a burglar alarm affect my insurance? Your home insurance quote does consider the security features in your home, such as a burglar alarm. An approved system which is activated when you’re away from home may help to save money on your home insurance. If you’re looking for something a little more hi-tech than an alarm, a smart doorbell could be the perfect gadget for your home security. The Ring Video Doorbell comes with a wide-angle camera, microphone and speaker - meaning you can see and speak to anyone who comes to your front door. The camera has infrared LEDs, so you get a good picture even in the dark. It’s compatible with Apple, Android and Windows devices, and you can get instant mobile alerts. Plus you can set up additional cameras to form a ring of security (see what they did there?) round your property. The second generation doorbell has comes with a battery pack that you can recharge without removing the device, so you won’t have to worry about power outage if you’re away for a long time. In addition to video doorbells, a company called August makes a smart lock, meaning you can allow access to family, friends or neighbours if needs be. This means you won’t have to keep track of who has keys - or even get keys cut - ever again. You can control the device with popular voice assistants - Apple’s Siri, Amazon Alexa and the snappily named Google Assistant. External CCTV is a good deterrent for burglars; knowing their every move is being recorded could be enough to put them off. 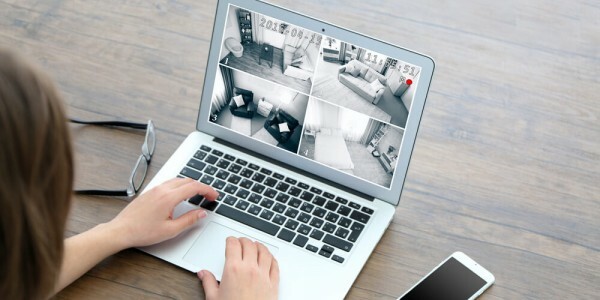 And it doesn’t have to stop outside, having visible cameras within your home – such as webcams – is another great way to make burglars back off. 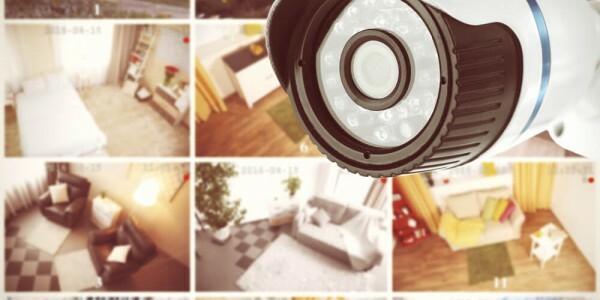 Prices for home surveillance systems vary depending on the spec you want, but most standard wired systems come with the same basic set up – a camera, a DVR to record footage plus cables and power supplies. A wired system needs to be placed where it can reach a power source and are often a lot bigger than their wireless counterparts. However, they are far more difficult for outsiders to hack and aren’t prone to signal dips. 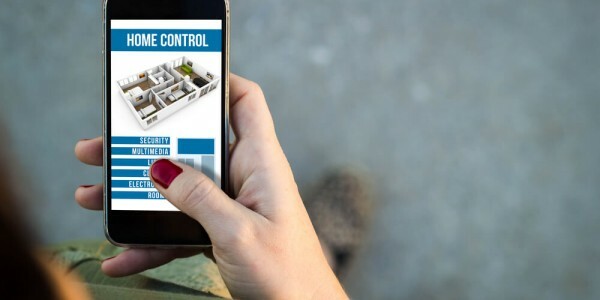 If you don’t want the fuss of wires and cables running through your property you can opt for a wireless system; which also means you can move them around easily but make sure you have a strong wi-fi connection to avoid interference. A wireless system is often more affordable and provide a better video and audio output. But bear in mind, even wireless CCTV systems require a power source. A good option for the more tech-savvy homeowner is an internet protocol (IP) camera – effectively, a webcam. You can view the real-time footage from wherever you are as long as you have access to the internet, and they don’t require you to run cables through your home. Some IP cameras come with the option to record to a secure cloud server so you don’t need a DVR to review footage. If you’re looking for more home security tips, check out our guide on the best locks for the windows and doors at your home. Not sure which smart home technology to invest in? Read our guide. Admiral UK's guide to the best locks for all types of doors and windows in your home. Keep burglars out with these top tips. What smart home tech is worth the investment? Invest in the right tech for your home.